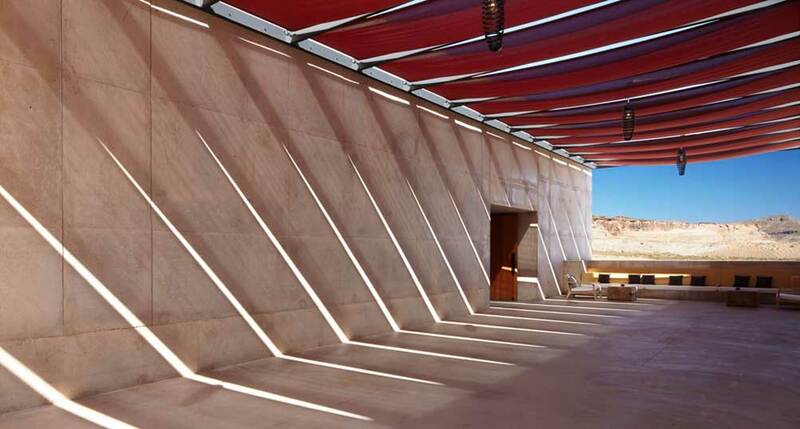 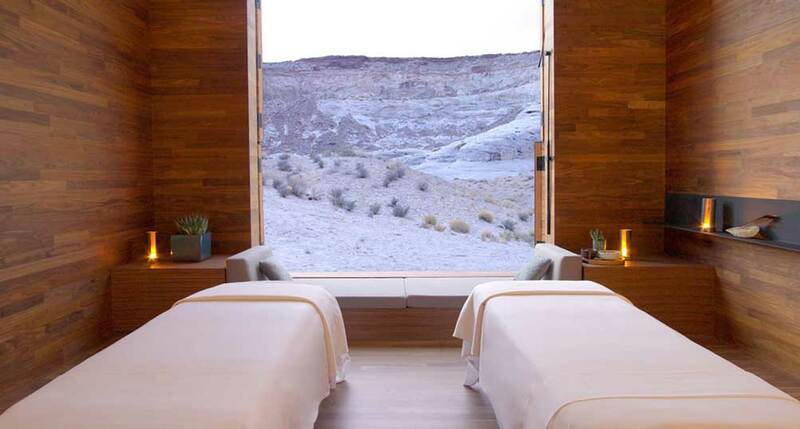 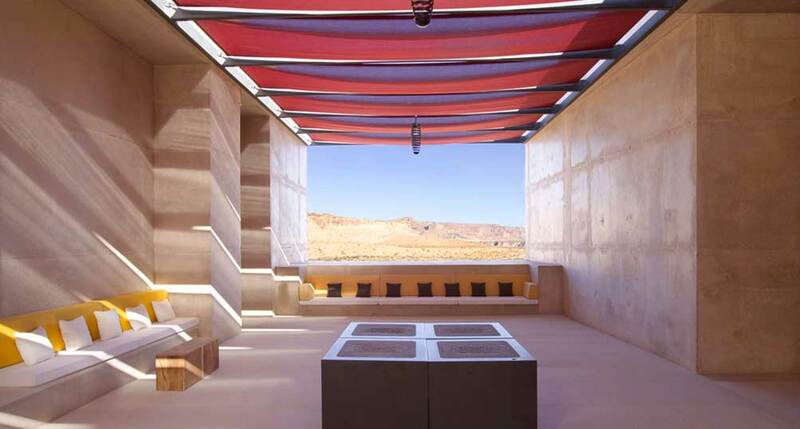 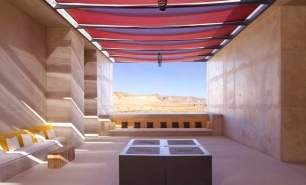 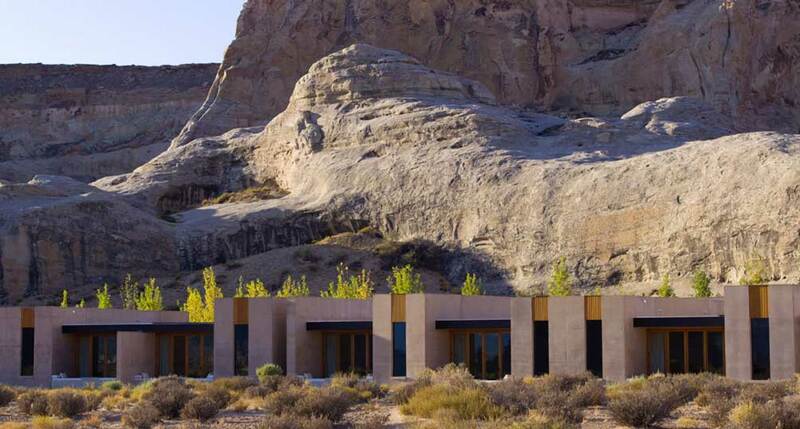 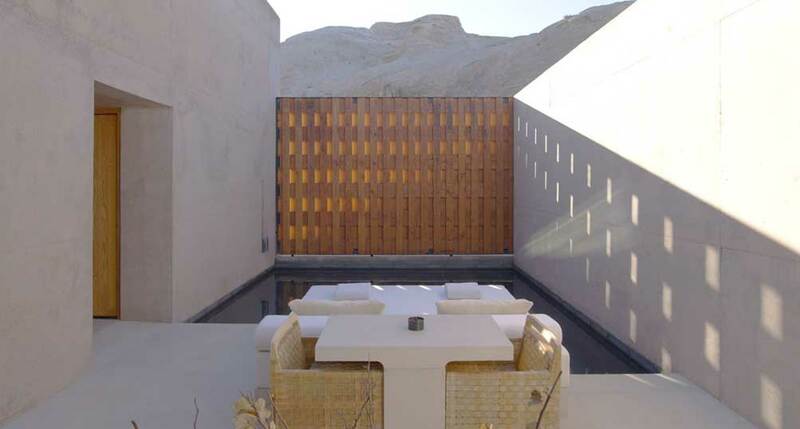 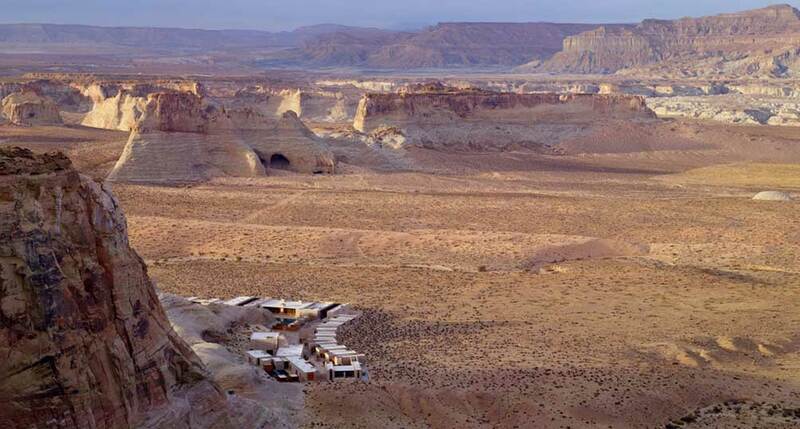 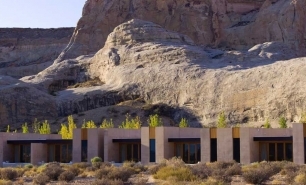 Amangiri is in a remote desert location close to Canyon Point in Utah, northwest of Lake Powell. 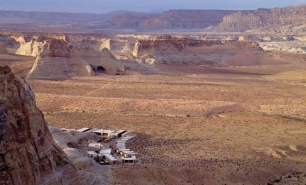 The resort and its location make it an excellent base for exploring some of the most spectacular landscapes and natural scenery on Earth. 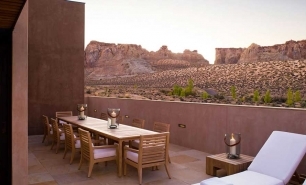 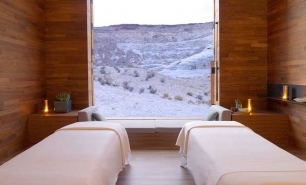 Amangiri is surrounded by world famous scenic attractions, such as the Grand Canyon, Monument Valley, Bryce and Zion National Parks, and Lake Powell with its dramatic Rainbow Bridge. 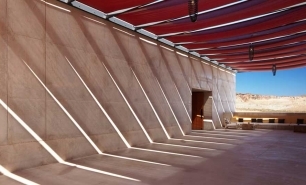 Two accommodation wings branch out from the main Pavilion into the desert. 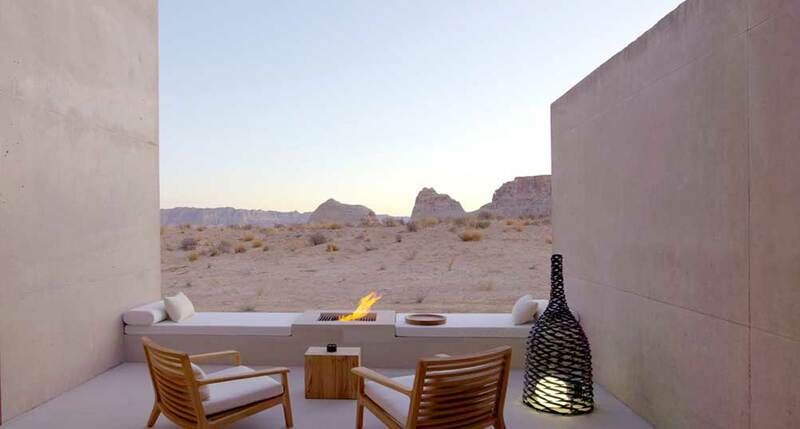 Sixteen suites are located within the Desert Wing and another eighteen suites, together with the Aman Spa, are located within the Mesa Wing. 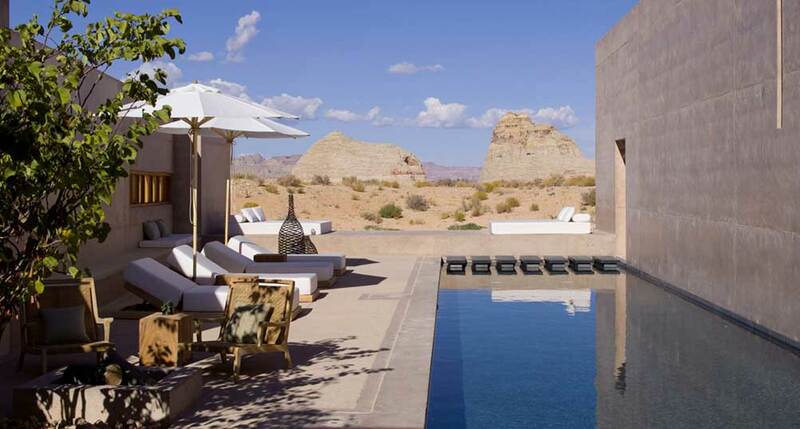 The Mesa Pool suites, two Desert Pool suites, the Girijaala suite, and the Amangiri suite all have private infinity pools. 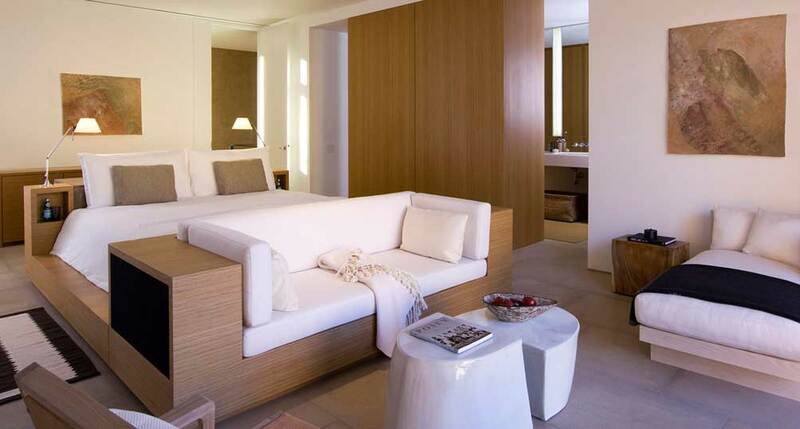 Aman resorts is currently adding 28 luxurious villa residences, with each home covering approximately 7,500 sq. 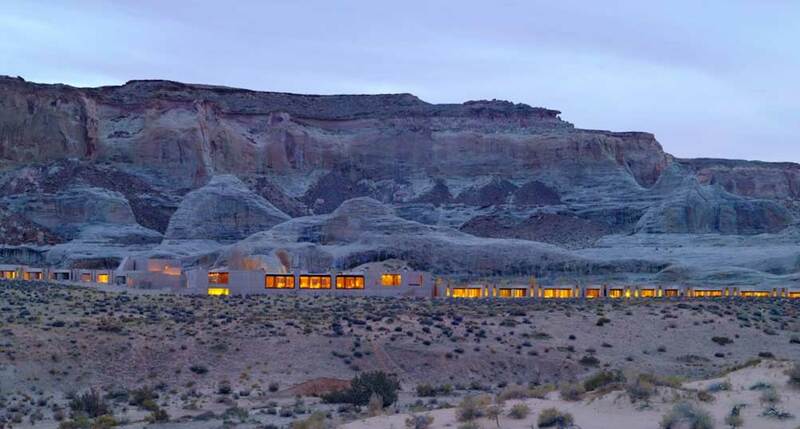 ft. with interior space averaging 6,000 sq. 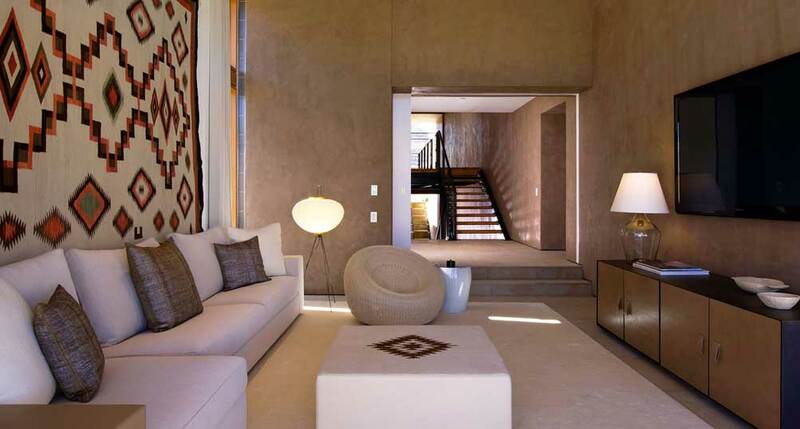 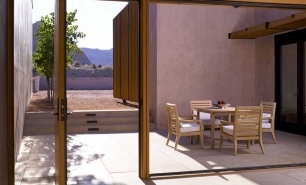 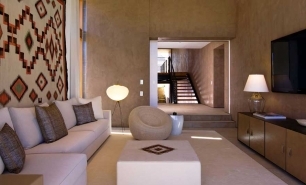 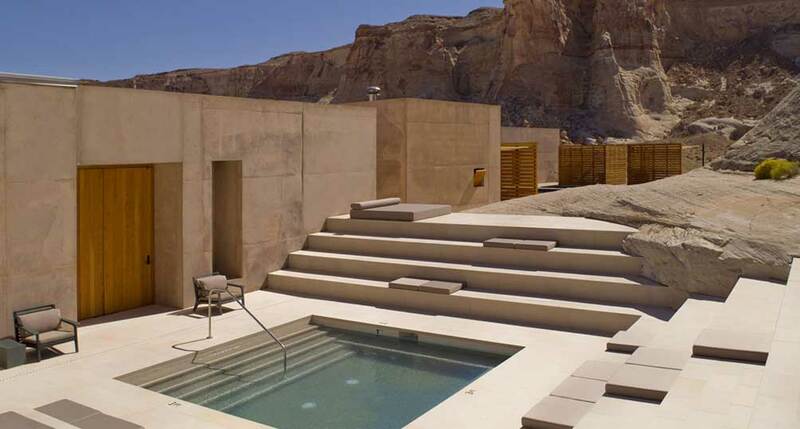 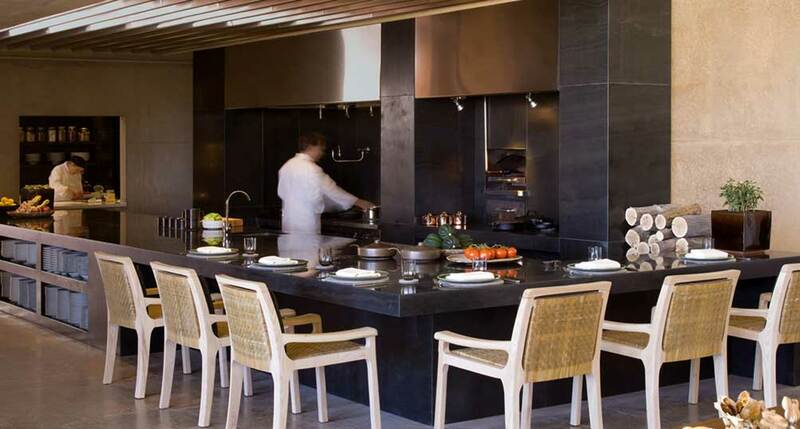 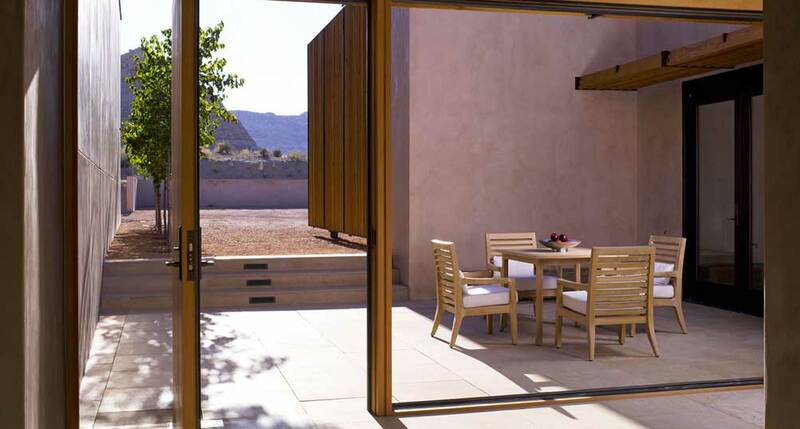 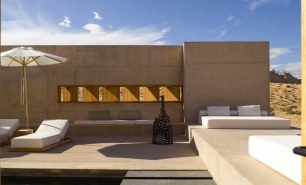 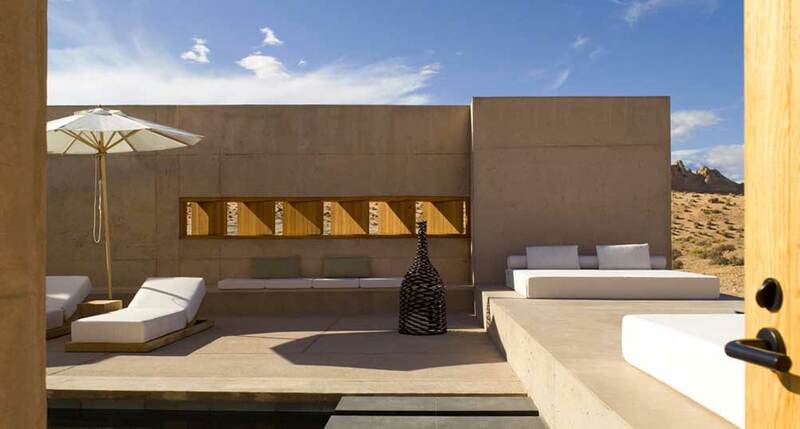 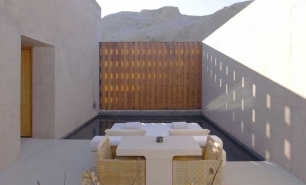 ft.; the residents will have access to the Amangiri resort facilities. 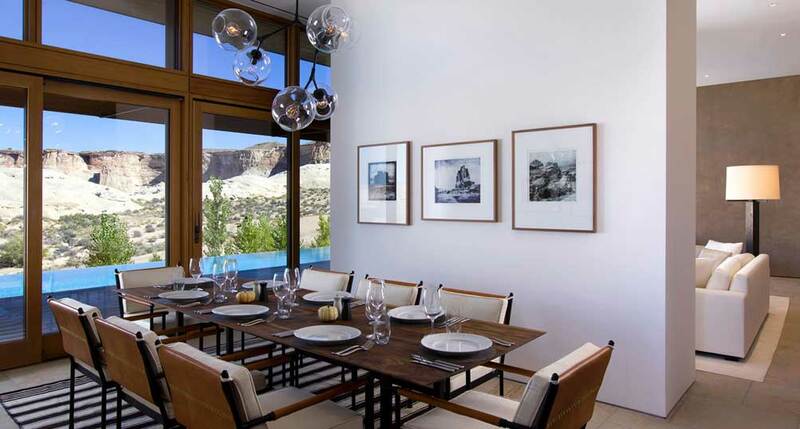 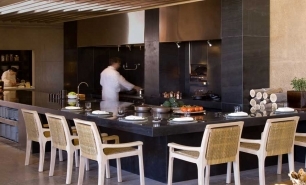 Amangiri’s Dining Room serves international menus and features floor-to-ceiling glass doors which open onto the outdoor dining terrace overlooking the swimming pool. 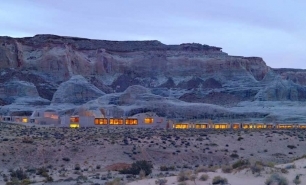 The 25,000 sq. 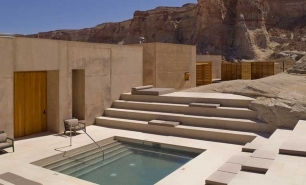 ft. Aman Spa consists of the Water Pavilion, featuring a steam room, a dry sauna and a cold plunge pool, while the Floatation Pavilion offers floatation treatments. 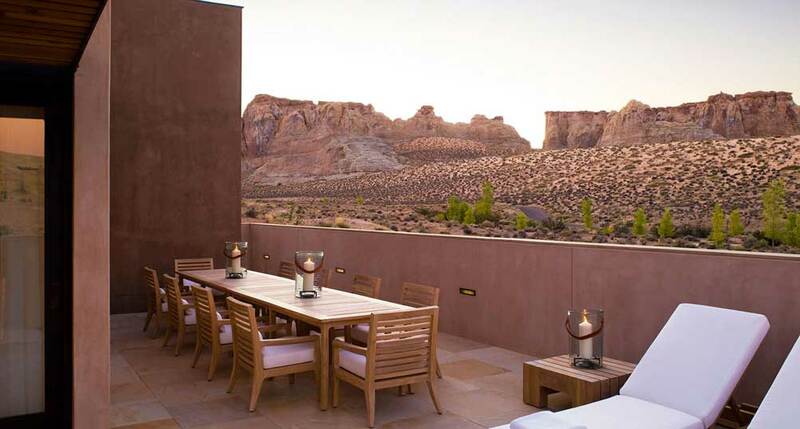 Amangiri is located in Southern Utah and the closest airport is in Page (PGA), Arizona, a 25-minute drive from the resort. 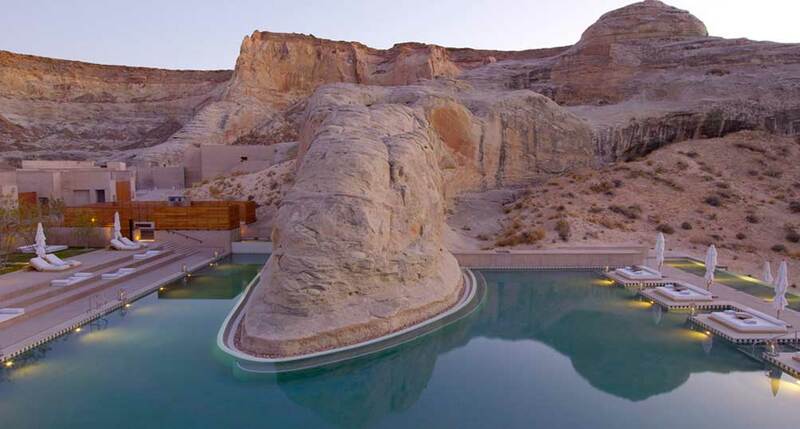 Lake Powell is a 15-minute drive from Amangiri. 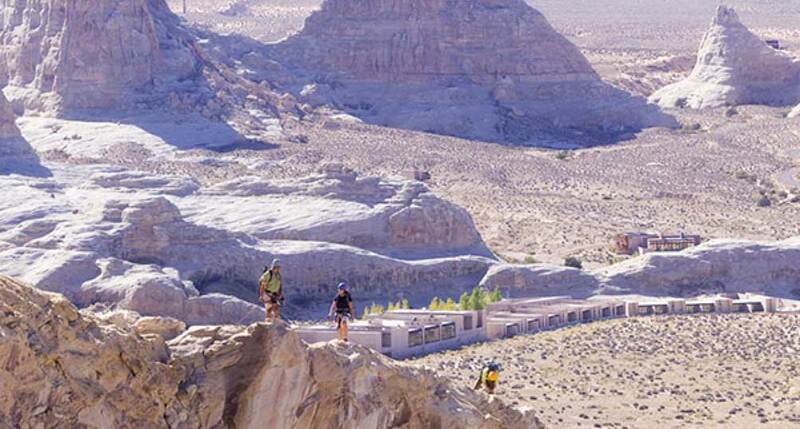 March to May and September to early November are best months to visit to enjoy nature and visits to national parks. 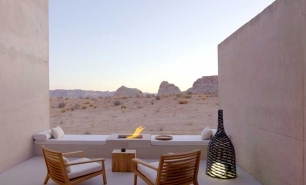 Winters are cold and windy while summers are incredibly hot with temperatures reaching 100F. 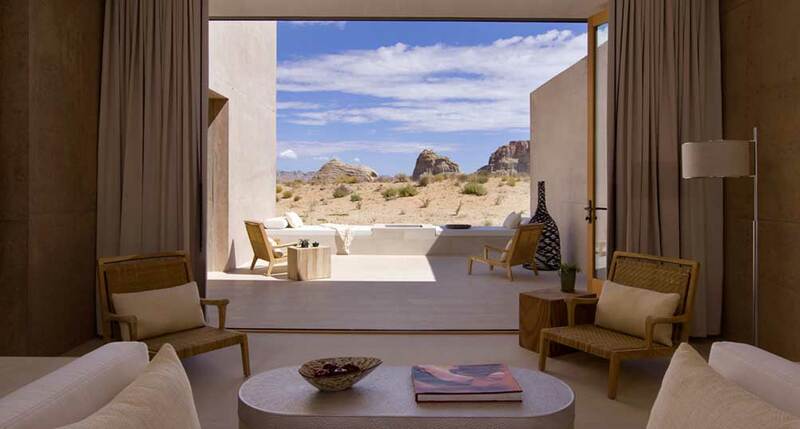 However on clear summer or winter days scenery is beautiful. 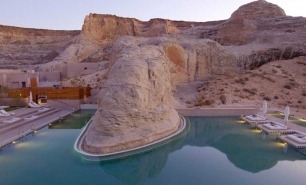 Lake Powel is safest and best to visit during summer months.